​Terrible ear pain, continuous ringing in his ears, and substantial hearing loss can be experienced if you don’t protect your hearing enough during times when you undergo activities involving noise beyond the threshold of our hearing capacity. One of America’s favorite hobbies involving loud noise is shooting or hunting. ​What are the important aspects of the Howard Leight R-01526 Impact Sport Electronic Earmuff? 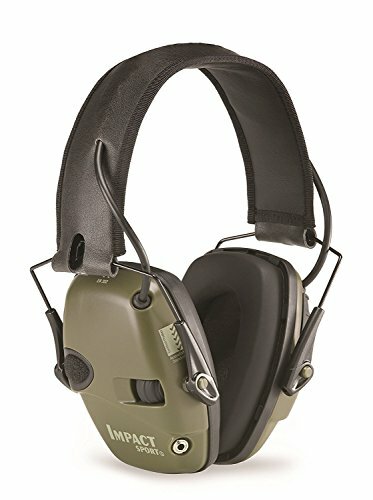 ​What other things should you know about the Howard Leight R-01526 Impact Sport Electronic Earmuff? ​Sometimes, those new in this hobby or sport doesn’t really pay much attention to their gear, as focus is on their guns. But they should always bear in mind that hearing is one of the most important aspects in this sport that they should give attention to. After all, guns are replaceable, our hearing isn’t. Something that would help you both your sport and your hearing is the Howard Leight R-01526 Impact Sport Electronic Earmuff. The Howard Lieght R-01526 is an electronic earmuff that consists of mechanisms that block sound that goes beyond the acceptable threshold of sound, which is 82 dB. Anything above that decibel is considered as harmful and may cause severe permanent damage in our hearing. These muffs will automatically block sounds exceeding that decibel to protect your hearing. What makes this electronic earmuff different from passive earmuffs is that it doesn’t totally cancel out all sounds but instead some sounds are more enhanced. This is because of the built-in microphone on each side of the muff that captures sound and amplifies it for you. In simple words, loud noise is canceled out while soft sounds are amplified. This is so you can hear low-pitched sounds such as conversations and animal movement, an aspect important when it comes to hunting. This enables you to get those sounds clearly and audibly without having to strain your ears. You are also able to tell the direction of a gun short when it is fired. The headband of the Howard Leight R01526 is adjustable; whatever the size of your head, it won’t be an impediment because the headband can hug the shape accordingly. You also won’t have to worry about the slipping of the earmuffs because adjustments are tightly fixed and it won’t move or budge while in use. Not having to worry about your gear easily gives you the concentration you need to focus on your target, contrary to having to re-adjust your muffs all the time. The NRR of this muff is considered a bit low at 22 NRR because gunshots go as high as 160 decibels. As previously mentioned normal hearing shouldn’t be fed with more than 80 decibels. Therefore, if these muffs are worn, it will effectively deduct only 22 out from the 160 decibels. However, because it is an electronic muff, it is capable of equalizing sounds to normal levels, causing the impact to ear damage become minimal to none. The blockage and equalizing of noise is so effective that you won’t have to worry about hearing loss as well as adding extra protection such as the use of earplugs. Howard Leight R-01526 is undoubtedly one of the most effective protection gadgets for everybody that is exposed to extremely high sounds. The headband is made of black leatherette with four colors of ear cups you can choose from (Black, Blue, Red, and Hunter Green). It has snap-on lid for quick and easy battery replacement, outstanding battery lifetime, and includes 2 AAA batteries. The soft leatherette material is lightweight and comfortable that you’ll forget you’re wearing these muffs. Unlike metal and plastic, the black leatherette won’t put pressure at the top of your head so you won’t feel too heavy and tired. There’s also a soft covering around the ear parts to avoid irritation. Only con about this material is that it may easily wear down without proper care. Take some time to wipe sweat or water off the leatherette material to avoid peeling. These muffs have an external audio input for your MP3 player, iPod or radio. The sound can be easily adjusted to the level you desire through the use of volume control knob on one side of the muff. Owners report that the battery lasts two full days of use before replacing. Changing the batteries is fairly easy; just push back on the cover and lift. Compared to other popular brands, the Howard Leight R-01526 is very affordable and can last years of usage without problems. It is made of pretty lightweight material that snugs perfectly around your head so you don’t have to busy yourself with realigning the headband every now and then, interfering with your hunting or shooting. It also greatly amplifies sound that you would feel like you have extra ears. It’s very helpful especially if you’re tracking some game. You can easily hear its every movement and footsteps through these muffs. ​For the price, the Howard Leight R-01526 is a great brand and type of earmuffs that functions better than expected. You can save a lot of dollars from buying this instead of the ones that go over $100. It is a very capable lightweight muffs that protects your ears against damaging noise and at the same time enhance your hearing abilities. 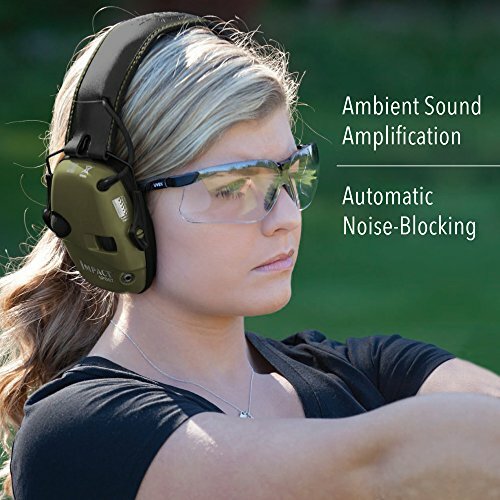 Don't forget to also read our article on the "​​What are the best Shooting Ear Protections? ".